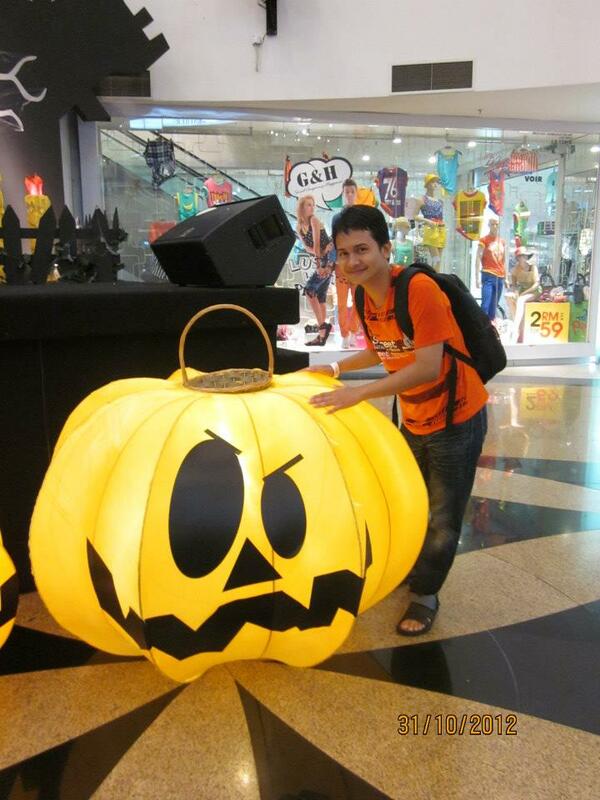 Outrageous O.M.G October (VIII) : Halloween Fantasy Sanctuary Via Year 6 2012 School Trip @ Historical Melaka, Malaysia! 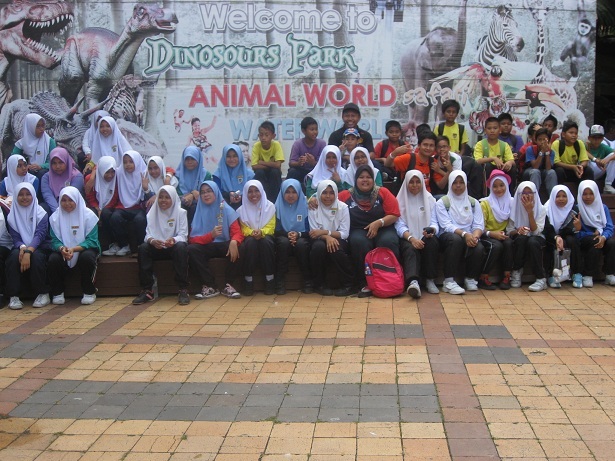 After Children’s Day, the VERY next day which was on 31st October 2012, I have to go Malacca to accompany the Year 6 Pupils for historical sight-seeing which happens to be the annual event for Year 6 pupils after UPSR. I am self-confessed historical freak so when I heard about the plan and was asked whether I would like to accompany the entourage since I also teach Science for Year 6 Gallant, it was an absolute Aye! One for the nostalgia! 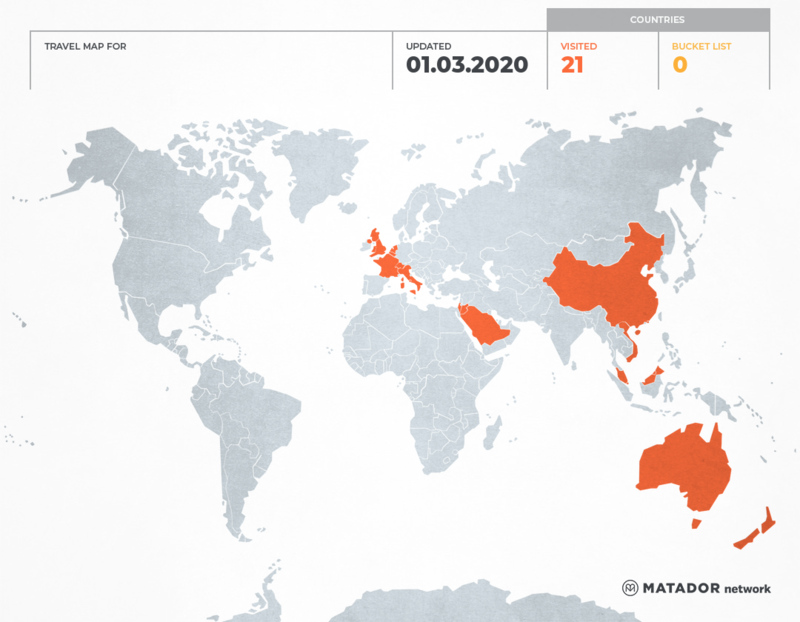 Year 6 for 2012. 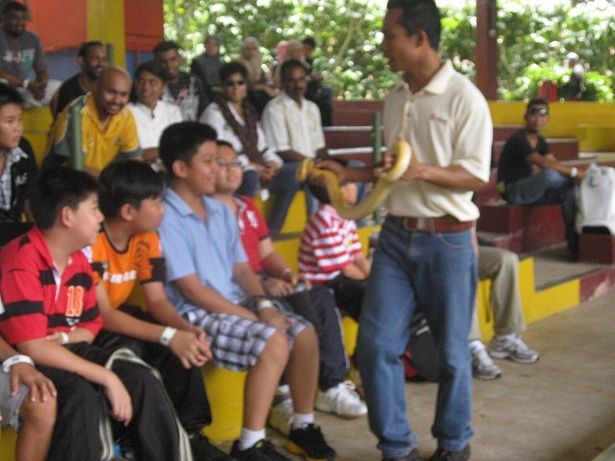 At 6.45 a.m. we had already assembled at the school compound and around 7.20 a.m already pushed off to Malacca as on schedule, we had to be there at 10.15 a.m. at A’Famosa Resort for Elephant Show. 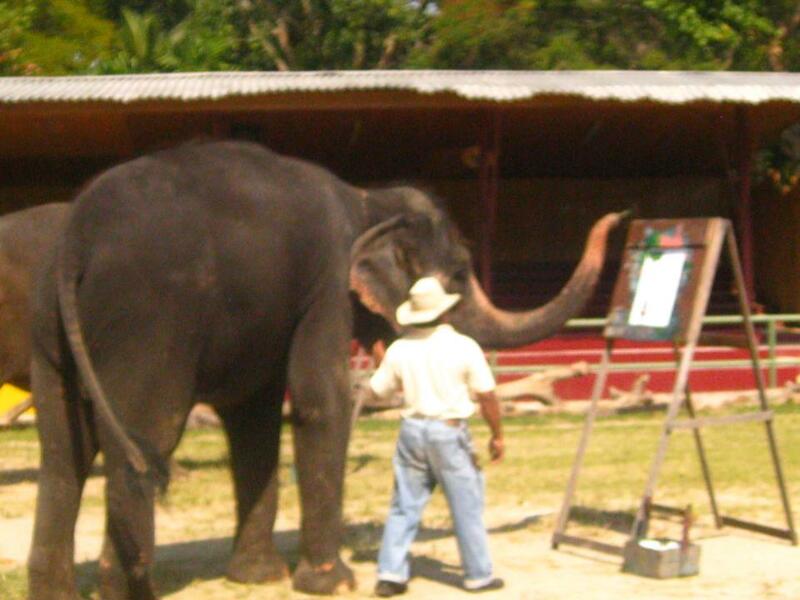 Although it was a bit helter-skelter and we had to skip breakfast, we managed to arrive at the resort on schedule. 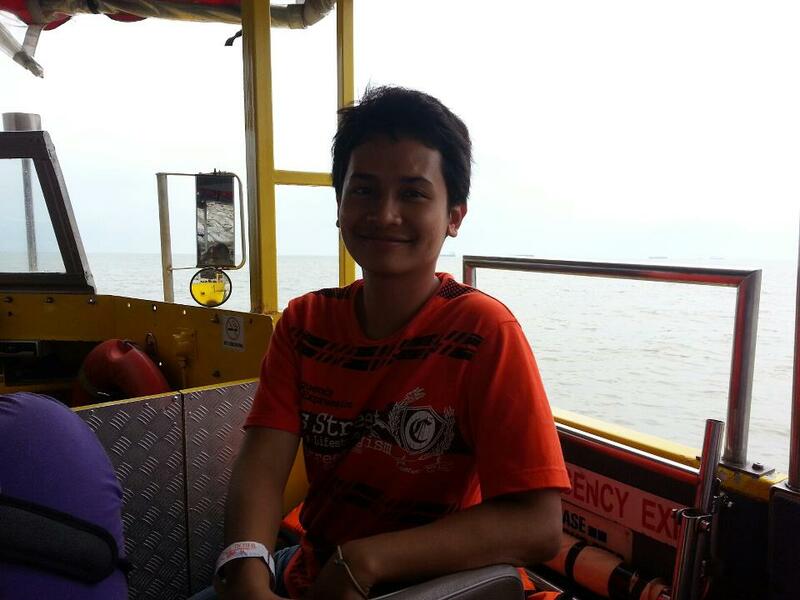 It was the first time I went there although have been to Malacca quite few time. 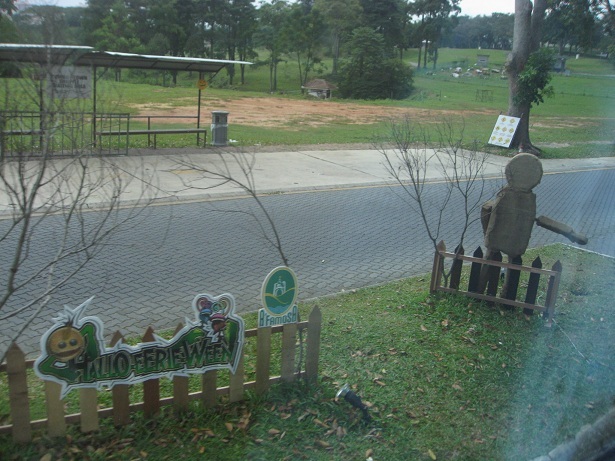 It was a big resort at Simpang Empat; ala Disneyland or Universal Studio! And we could see some Halloween decorations lined along the road. There would be some live Halloween parade at night. Aghhh…if only….!!! So sad. I think I should go here NEXT YEAR for my Halloween, like seriously! 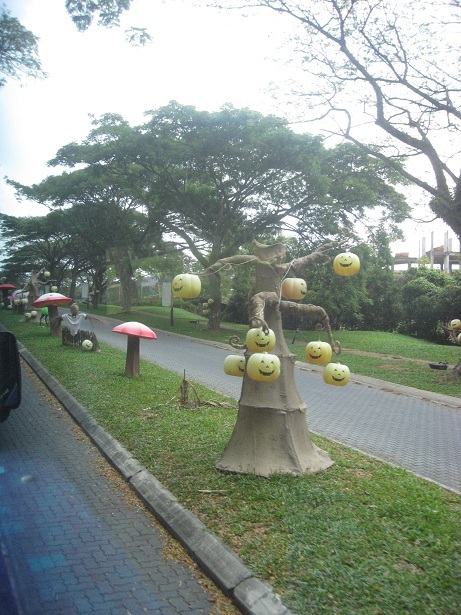 The Halloween decorations along the road! Yeah! Too bad we weren’t there for the Night Parade! 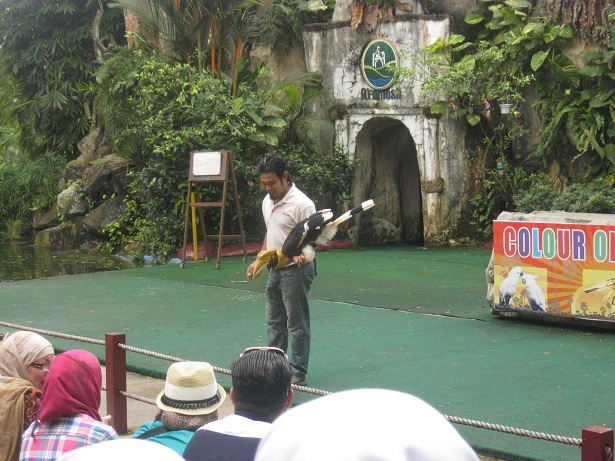 After the Elephant Show, we were served with Exotic and Domesticated Animals Show, Birds Show (which by the way was quite spectacular with the colourful birds and the extravagant entrances; in sync with the exaggerated background music! 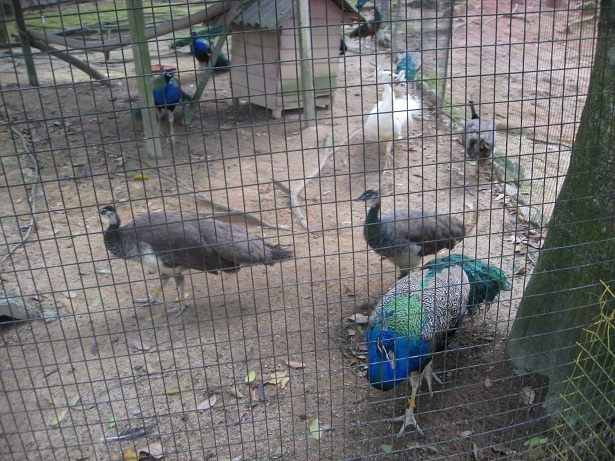 Felt like it was a Broadway and theatrical show with birds! Hhahahaa!) 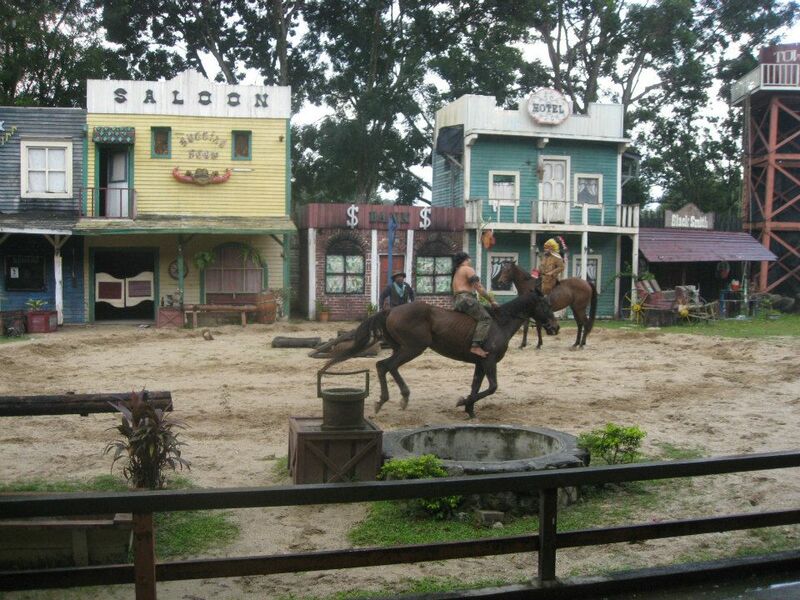 & The Wild Wild West Show. 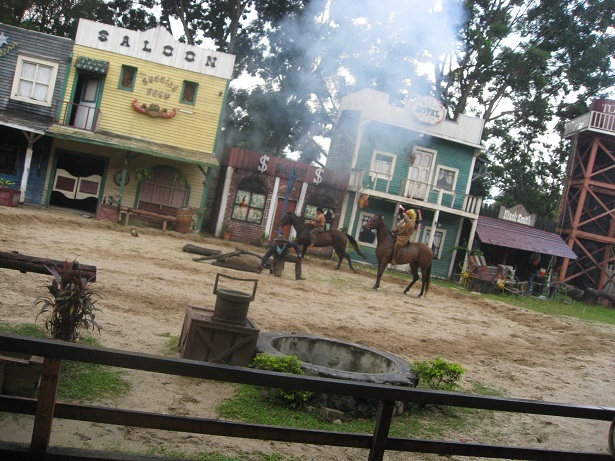 Among all the shows, Wild Wild West was the top of the list because I personally saluted the actors/stuntmen involved in the show. It takes A LOT OF STAMINA, ENERGY & SWIFT ACT to everyday involve in choreographed fighting scenes and the timing MUST BE SHARP and in sync with the pre-recorded background! SALUTE! 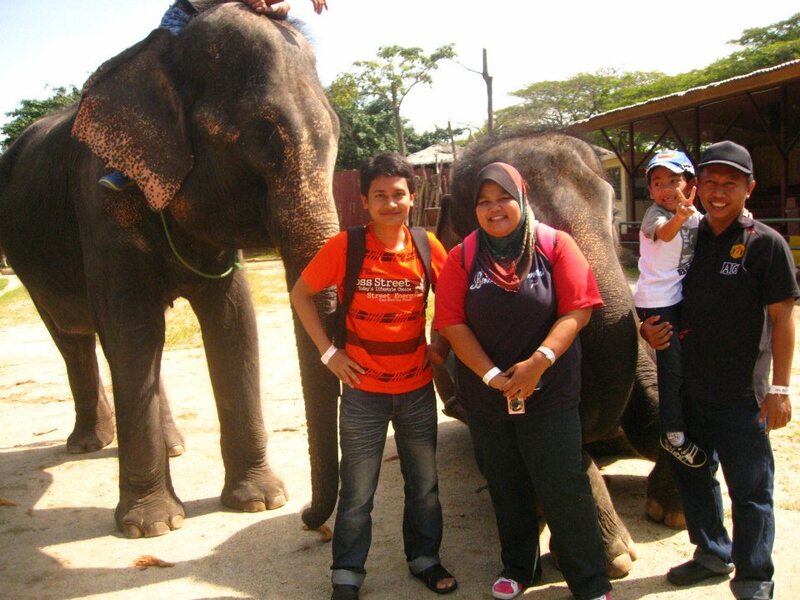 Kak Lin, Cikgu Rosmainy, his son, and I posing with the stinking elephants! 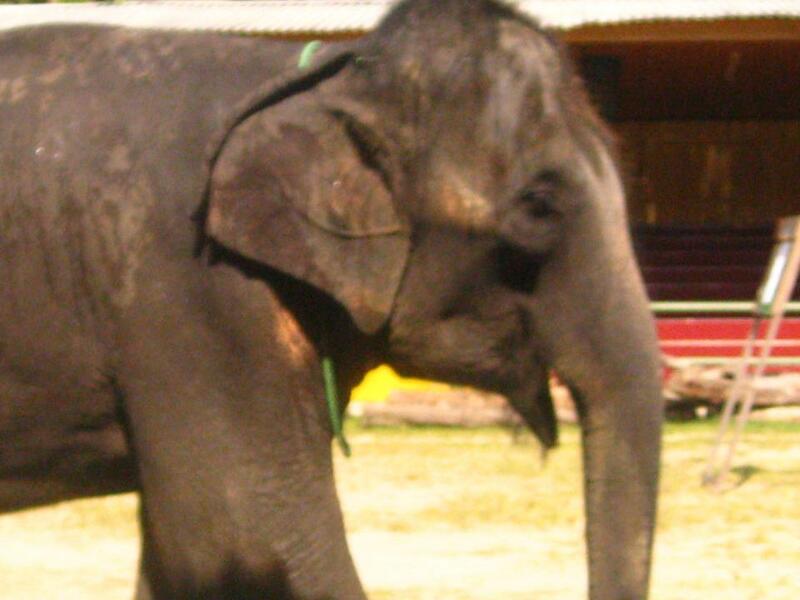 The elephant behind Kak Lin was furious with her for blocking the camera that she kept nudging Kak Lin! Hahahha! Emotional! 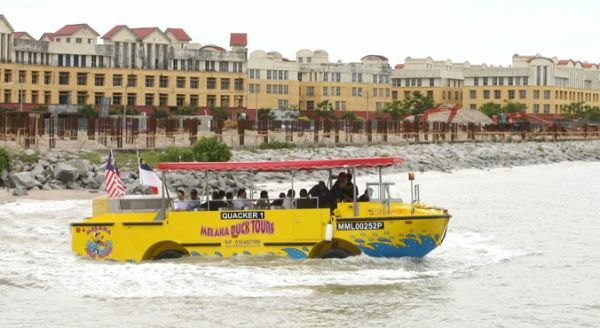 Our next stop was to DuckTours which is at Melaka City. 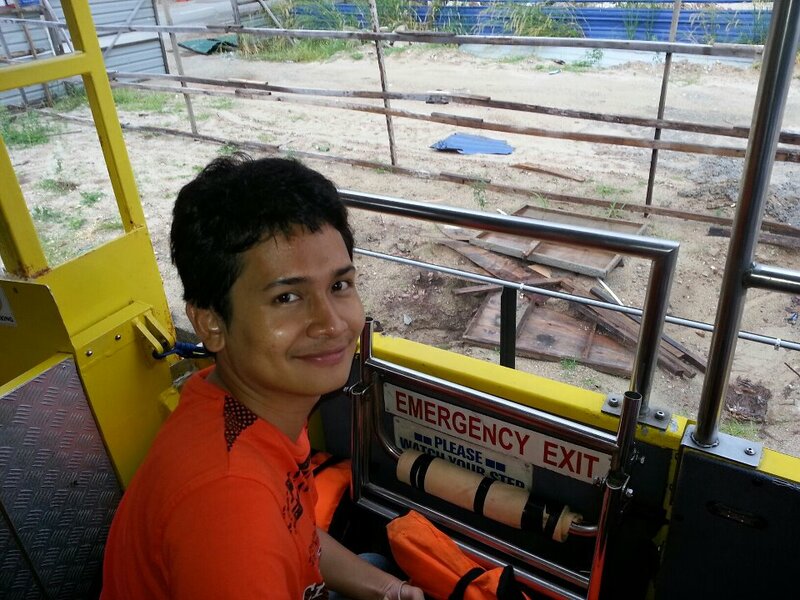 I was excited because I never take the ride before although I kept seeing the duck boat/bus around Melaka. The entourage was segregated into 2 groups as per the buses they took (Bus 1 and Bus 2); so the Bus 1 group boarded the ride. Luckily I was in Bus 1 so I got to take the ride. From the road of Melaka City heading towards men-made island, Melaka Island, we then headed to the water of Malaccan Strait! It was a COOL experience! Imagine from the land, we headed to the water WITHIN THE SAME VEHICLE! When we came back, it was raining. The Bus 2 group alternate with us and went (and later they couldn’t go to the water because it was raining heavily! Poor them but it was stated in policy that everything is due to the weather); meanwhile, I accompanied Kak Lin to take Taming Sari Tower as she never been up there before. It was simply swelling although it was raining heavily. 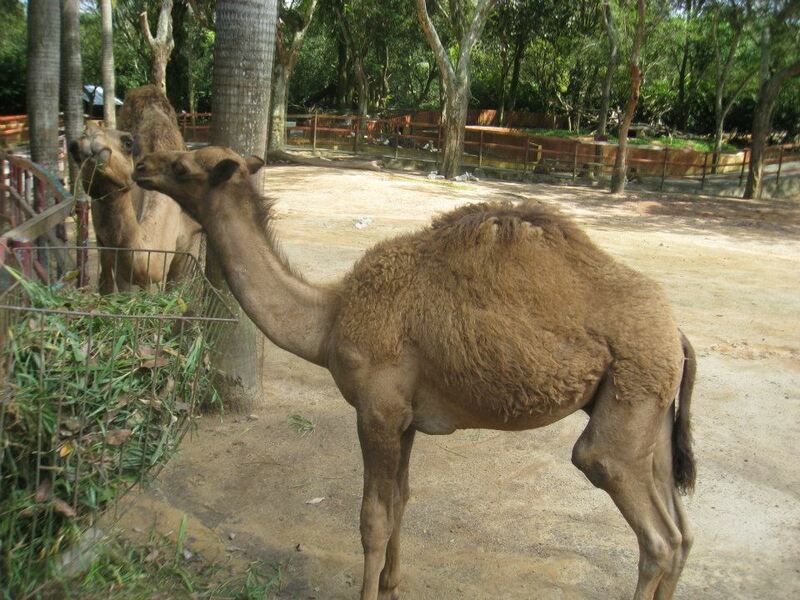 Some of the animals in the A Famosa Resort – World Of Safari. Initially we planned to take the kids to a place with famous and delicious “Asam Pedas” (as Melaka is famous for that) and Kak Adda’s sister who happens to be a teacher in Melaka also came to take us but since the raining was pouring heavily and the place in question was an open air, we cancelled that and opted for McDonalds in Dataran Pahlawan. 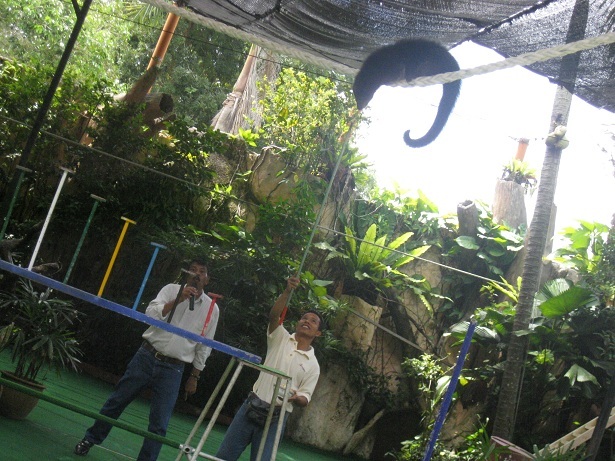 The Exotic Show – Snake & Bear-cat! The Bird Show – Hornbill! An unintended and unwanted drama however unfolded when we were about to push off from McDonalds to our final activity which was River Cruise. We were chasing over time and weather. 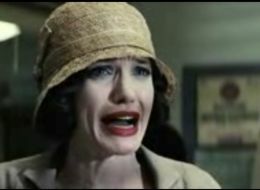 So, we already reminded EVERYONE to be in the bus around 8.00 p.m SHARP! Nevertheless, there were a few colleagues and pupils who defied that and breached the curfew. From the supposed 8.00 p.m, we lost 30 minutes and pushed around 8.30 p.m! Tempers rising and emotion roller-coaster as the selfishness supercedes priorities!! Argh! The amazing Wild Wild West Show! Apt and sharp timing. Kudos to the actors. Not easy! But we made to the last activity and luckily it was not raining anymore. It was nice trips to bond with colleagues and pupils. At last! Halloween! – Courtesy of Teacher Azlin. We pushed off around 10.10 p.m.; a much dismay as we were already late from the schedule. 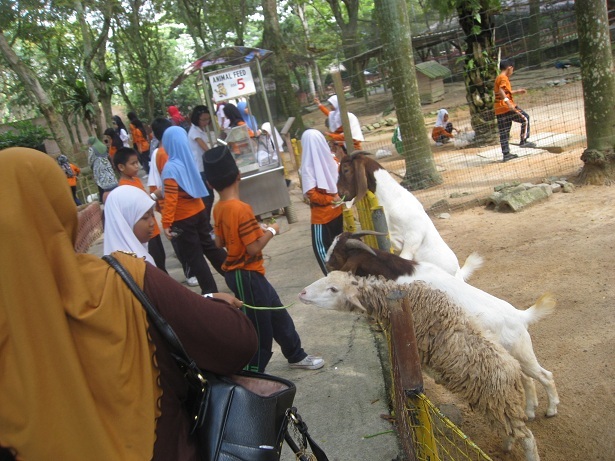 As usual, the kids remained ignorant….. We stopped at Dengkil R&R to perform Qasar & Jamak prayer around 11.30 p.m. and arrived at Serendah circa 1.00 a.m! 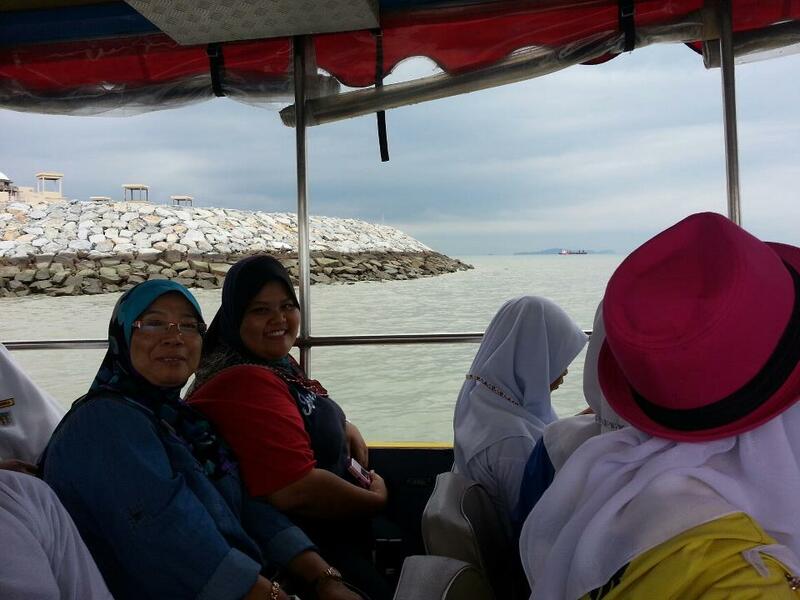 It was a tiring journey but even more tiring for Kak Adda and Kak Lin as the moderators and managers of the entourage. Duck Tour. Courtesy of Google Image since my camera’s battery gone kaput (so fast!) and pictures from colleagues and pupils are so slow. Just received pictures from Kak Adda. 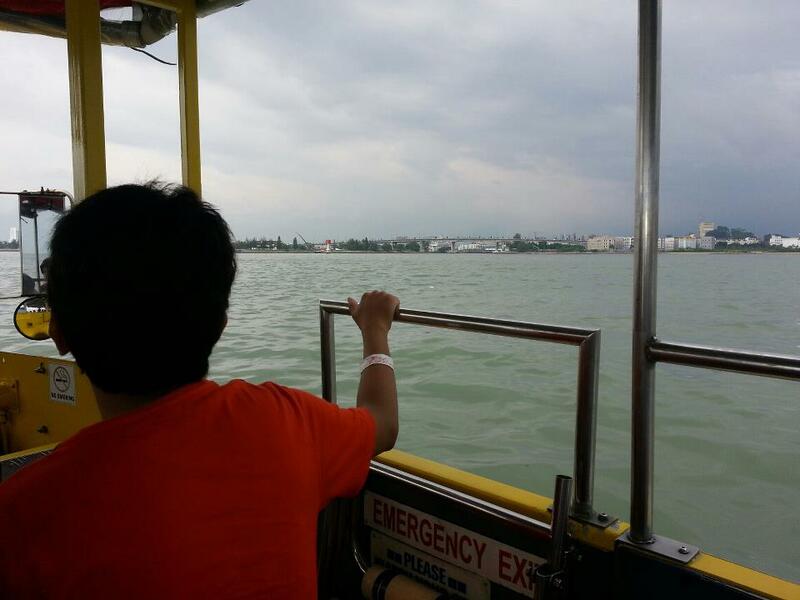 In DuckTours! They had to wait for the second bus to arrive 20 minutes later; only to find that 4 parents came later than the bus and one girl had no PARENTS to take her back (she knew that nobody was there to send her but adamant to join); so Kak Adda HAD TO TAKE HER BACK TO HER HOUSE! You see; these are the little things and sacrifices made by teachers but hey, does society gives a damn? Nay. They just condemn and condemn! If only there’s a Halloween theme park! Yeay! Hahahaha! – Courtesy of Teacher Azlin. 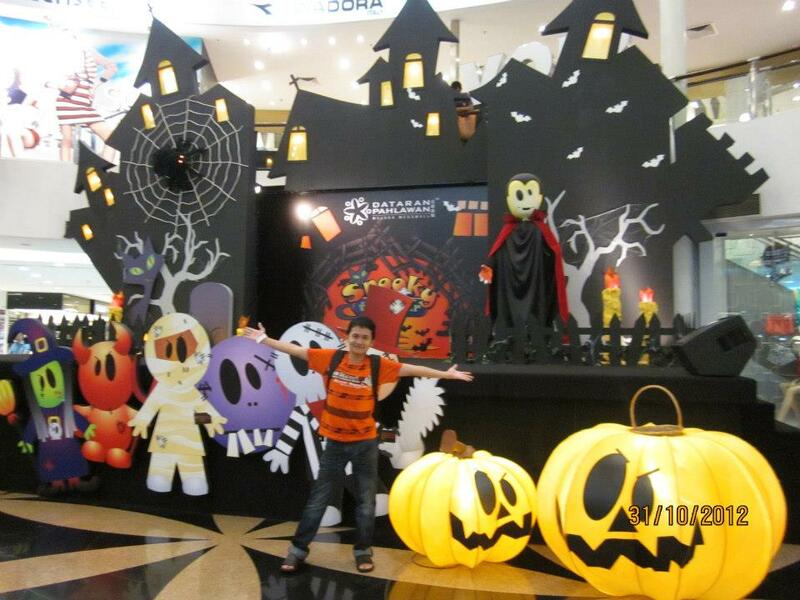 ← Outrageous O.M.G October (VII) : Children’s Day 2012 @ SK Serendah & Halloween Fantasy Via Tim Burton’s “Frankenweenie”. Lilac : do visit Melaka!